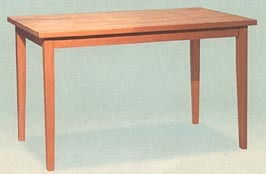 Measures 36x24x36 with two 6" drop leaves and is made out of parawood whitewood. This table will ship UPS. 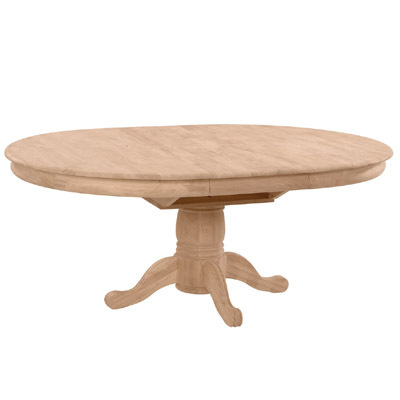 This simple table has the clean lines and tapered legs of Shaker furniture, yet would also fit perfectly in a contemporary setting. It's built to last. The top is make of Solid 1-1/2" thick Alder Butcherblock. This table will ship UPS. 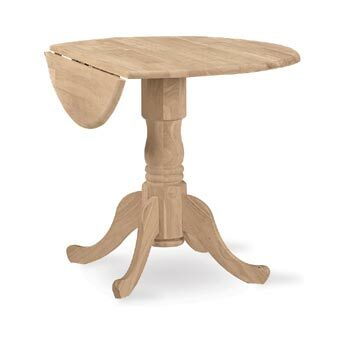 Made of Solid Alder Hardwood. Dimensions: Total Height: 29 inches, Top Size: 48"L x 30"D, Weight: 49 lbs. 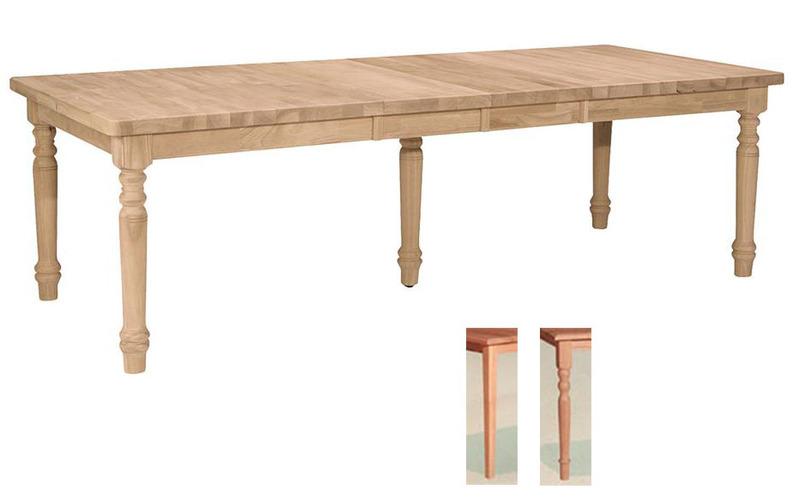 This table is perfectly sized for intimate dining. Pedestal is beautifully turned and legs are gracefully flared. . This table will comfortably seat four.